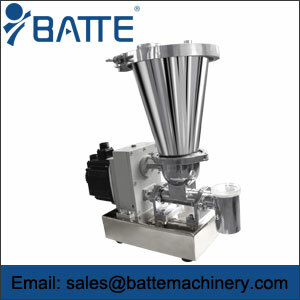 The batte system twin screw volume feeder is widely used in various materials, including the volume feeding scheme for the powder, fiber and flake materials with poor fluidity. 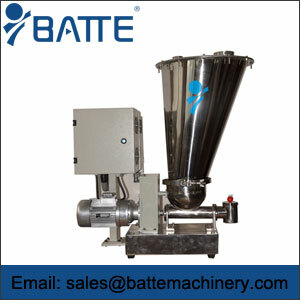 All parts contacting with the material are made of stainless steel. 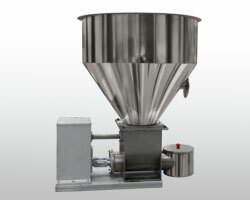 The feeder is easy to clean up and replace parts. 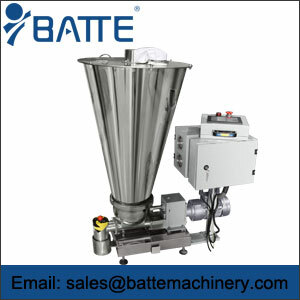 The unique spherical bucket patent design makes the material flow evenly from all directions in the spherical hopper into the screw, effectively preventing the accumulation of material, and the horizontal mixing will further improve the flow of the material to the screw propelling part, making the feed more accurate. 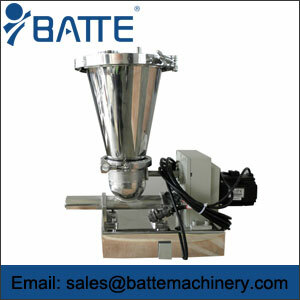 It is also possible to choose vertical agitation when feeding materials with poor fluidity and easy bridging. 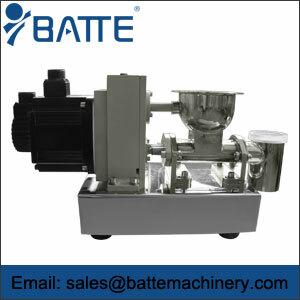 The feed screw is selected according to the material characteristics. The following table is the empirical value of the feed range (suitable for fluidity). 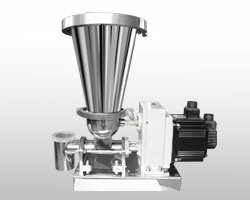 For both ends of the feeding range, it is recommended to select suitable screws after testing.